Galapagos Sp. Z.o., based in Warszawa, Poland extended their existing License Agreement with Globe Edutainment till the 15th of January 2017. 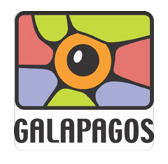 Galapagos acquired the AVoD, TVoD, SVoD and EST rights to broadcast VIPO Season I on various online platforms in Polish.